Visual texture brings floors and walls to life as they copy the look and sometimes even the feel of certain materials such as natural stones, wood and textile. Porcelain tiles designed like wood gives the visual appeal of wood grain without the unnecessary cost and upkeep of wood. 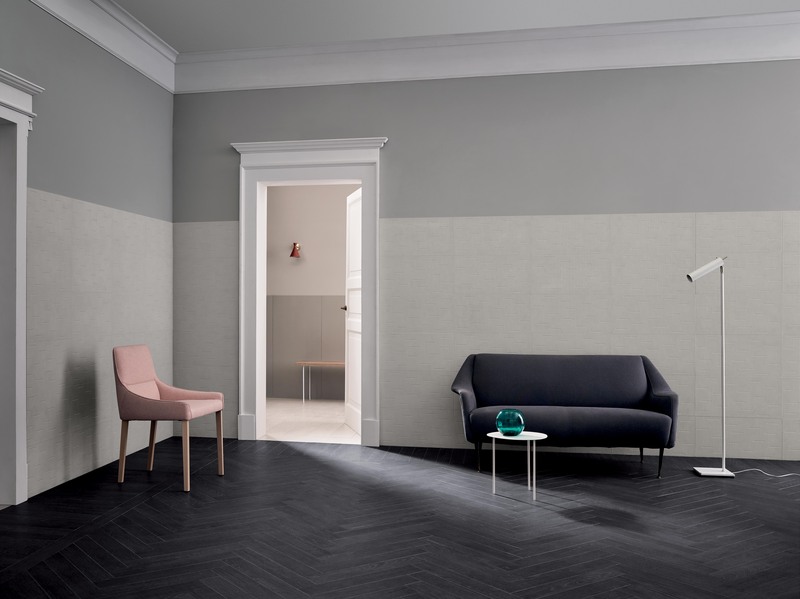 Textile-textured porcelain tiles bring to your walls or floors the feel of weaved cloth, modern stone or soft linen and add a very distinctive visual impression. Let’s face it, sometimes the sleek and flat look of regular tiles is not enough to satisfy your artistic expression. Texture is the tactile surface quality of the material. Visual texture refers to the suggested feel or tactile quality of the surface. Wood look porcelain tiles have the visual effect and look of the wood grain yet the smoothness of a tile. They embody the look of wood without the usual nuances of caring for the wood floor or wall. These textured tiles have the appeal of finely weaved cloth that has the effect of coziness and warmth, like a piece of blanket draped around you. Yet, they are smooth to the touch and much easier to clean. That’s the beauty of visual texture in porcelain tiles - they suggest the tactile feel of the material inspiration without the disadvantages that go with them. Now you can use these tiles for your kitchen, bathroom and living room. If you want that old world charm of wood mixed with modern style of white marble or granite for your kitchen, you can create that, or design a cozy den or office room with a textile wall as a focal point. One of the great things about textured tiles is it allows you to mix and match with other finishing materials that suit your creative expression and visually enhance the look you desire for your rooms. 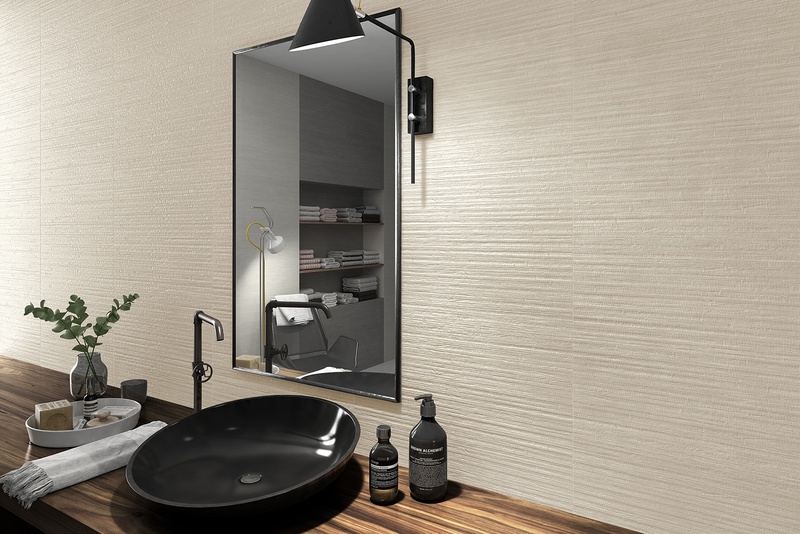 Learn more about visually textured porcelain tiles at galleriastone.com. 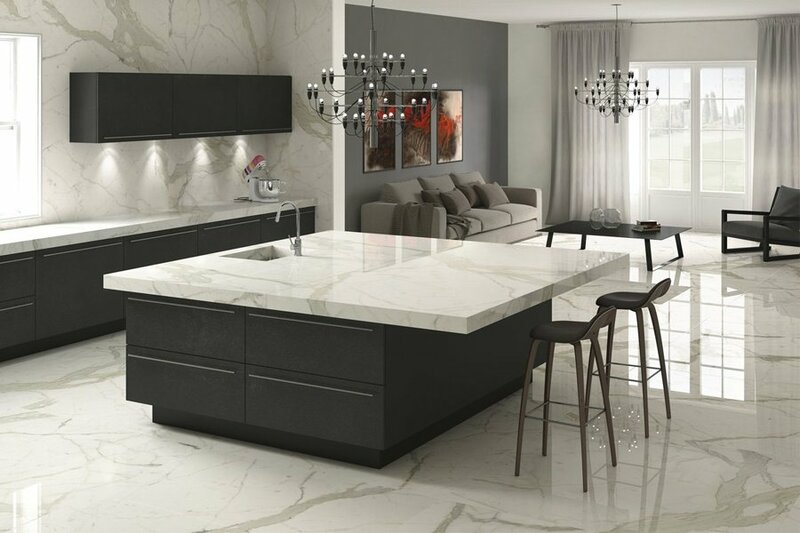 Here you can choose a whole range of finishing materials - tiles, countertops and natural stones.